Blitz together coconut cream and banana using a blender/bullet. 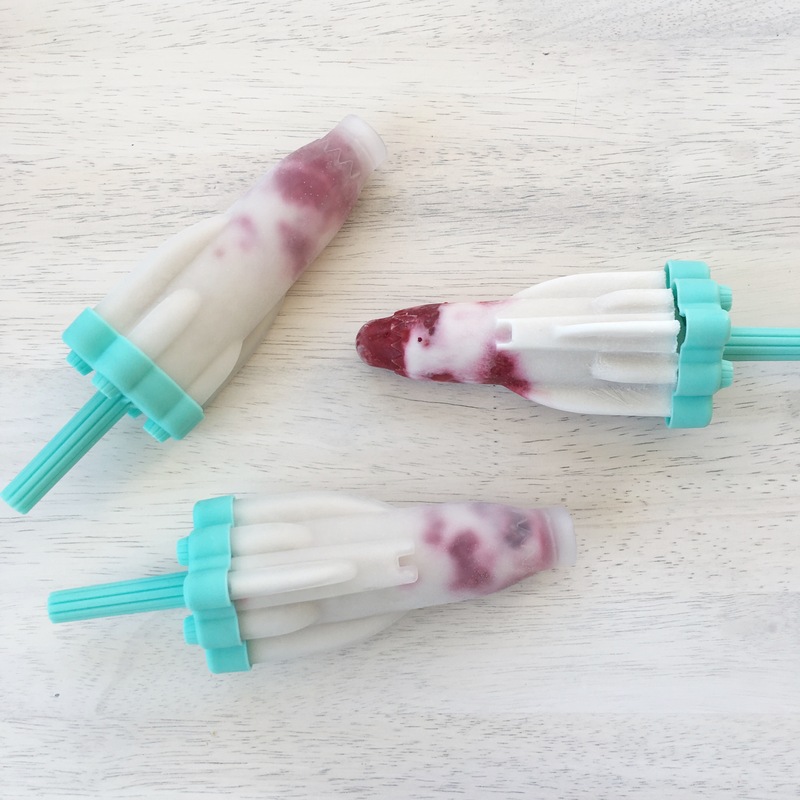 Add a few fresh berries to the bottom of each ice block mould. Pour coconut + banana mixture over the top. That is literally it! 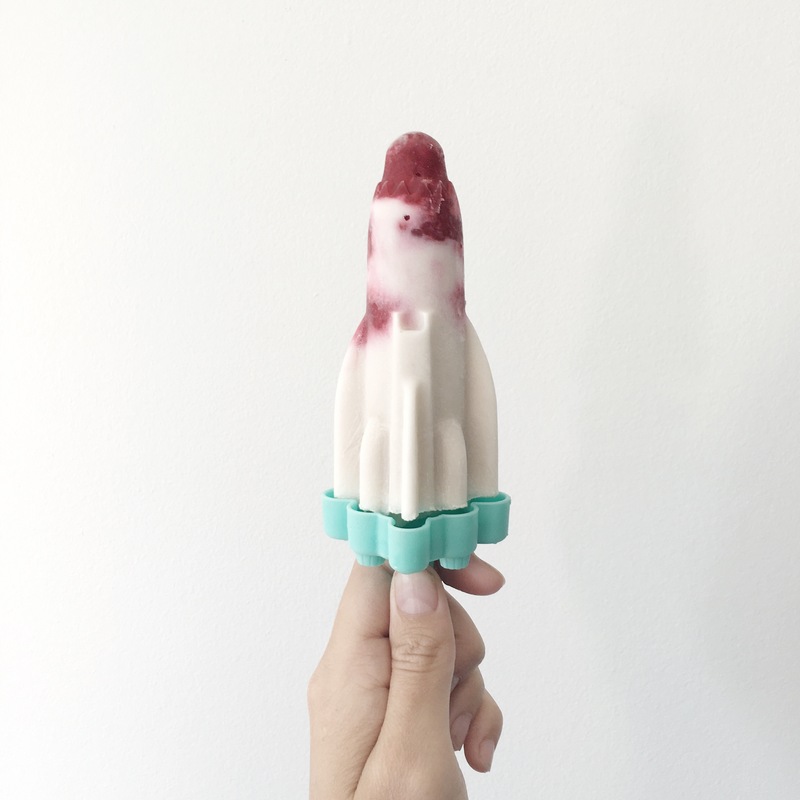 So perfect for hot days, or not hot days where you just want some toddler silence for 10 mins 😉 We used fresh raspberries in these ones, but they’re delish with kiwifruit, blue berries, heck – anything! You could even do a mixture!